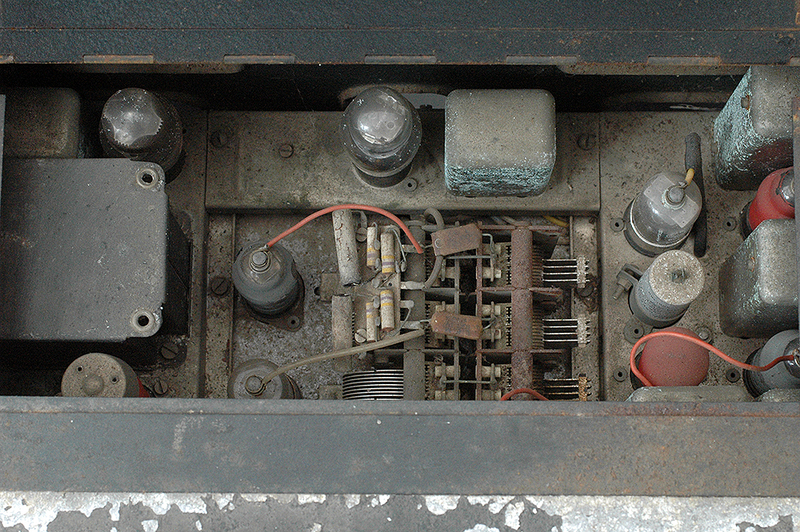 Below: a view through the inspection cover for access to the nine valves. The case is secured by four large screws and fits tightly to the front panel moulding and pulls off to permit access to the underside of the chassis. 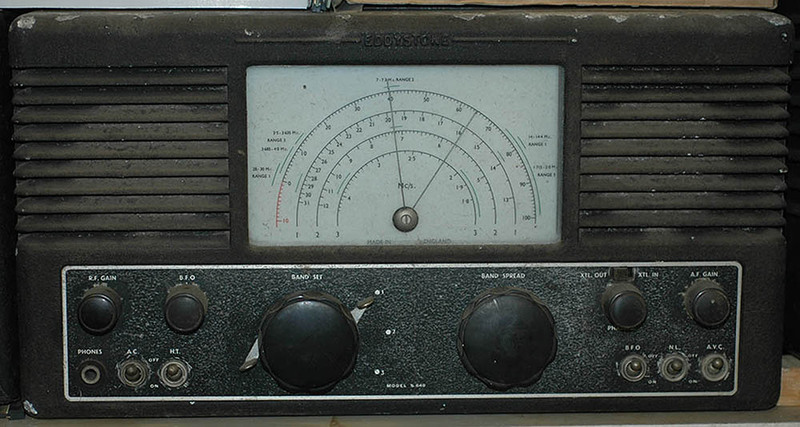 The receiver was designed specifically for the shortwave listener or radio ham and as such receives only frequencies from 1.7 to 32MHz. Two tuning condensers are fitted. 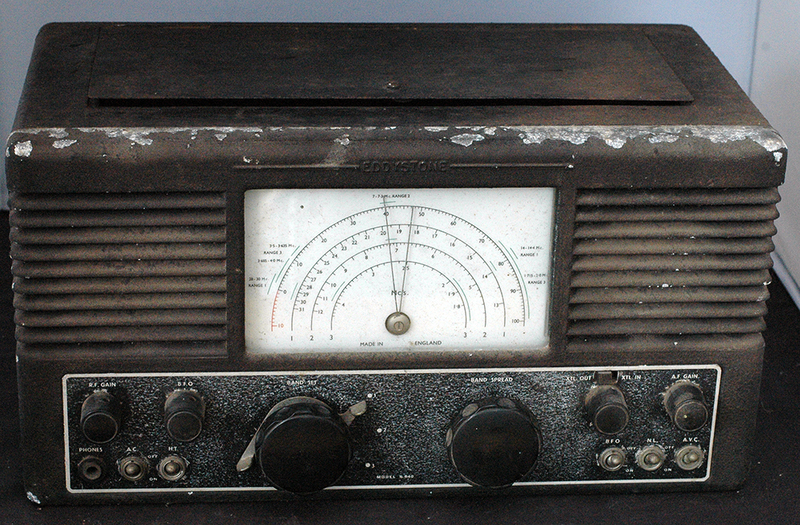 Once the main tuner has been set to a particular band the fine tuner is then used for bandspreading. Very apparent is a heavy build-up of dirt and some corrosion although the chassis is heavily plated and should clean up. Cans appear to be made of plated brass and again, should clean up but with a lot of effort. The coil enclosure is made of an aluminium alloy and will be pitted. The set is an AC model unlike many Edystone sets which are AC/DC. 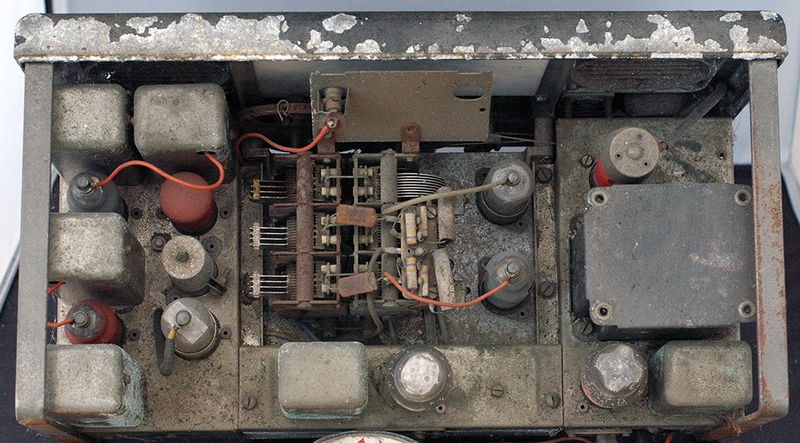 The octal sockets on the rear of the chassis support an external S-meter and feed from an alternative external power supply. 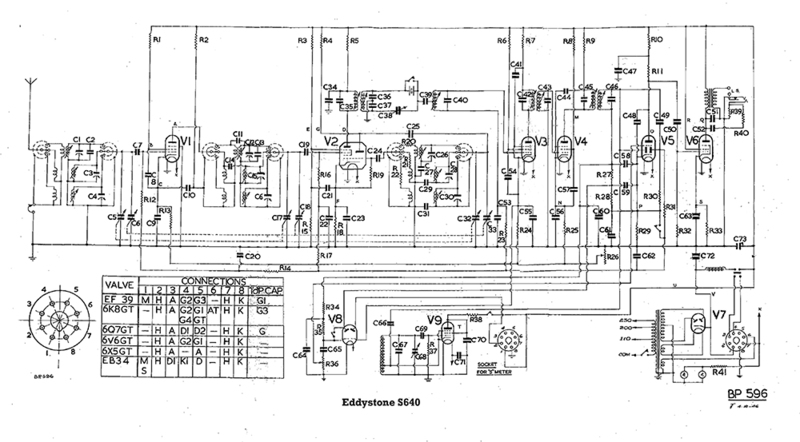 Nine valve line-up: RF amplifier EF39 (V1), frequency changer 6K8 (V2), first IF amplifier EF39 (V3), second IF amplifier EF39 (V4), detector/avc and audio amplifier 6Q7 (V5), audio output 6V6 (V6), noise limiter EB34 (V8), BFO EF39 (V9) and HT rectifier 6X5 (V7). 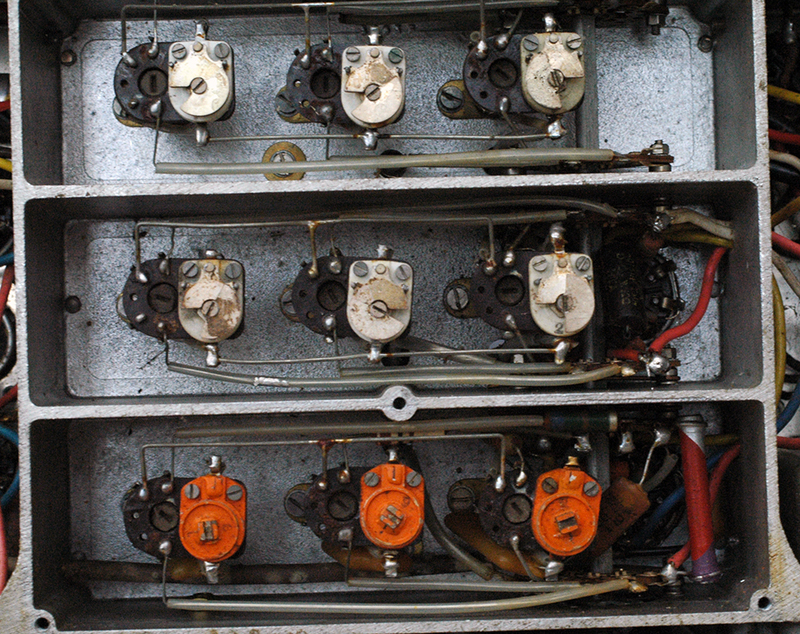 Above: A very tidy layout of the RF coils with trimmers and coils easy to adjust. 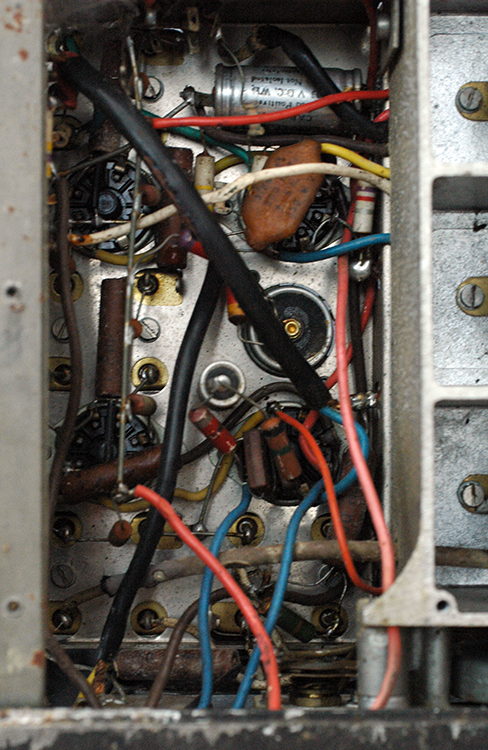 Below: Either side of the coil pack enclosure are the these two areas of circuitry, the IF amplifier and the power supply plus BFO. 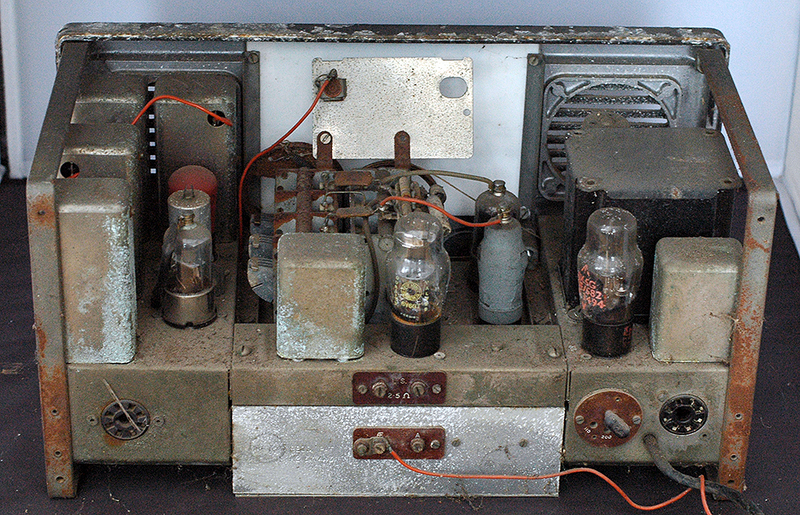 A lot of work will be necessary to restore this old receiver dating from 1947, mainly cleaning the chassis, the front panel (which will need repainting), the bezel which might need replacing. The case is also in poor shape and the main tuning dial needs new string. 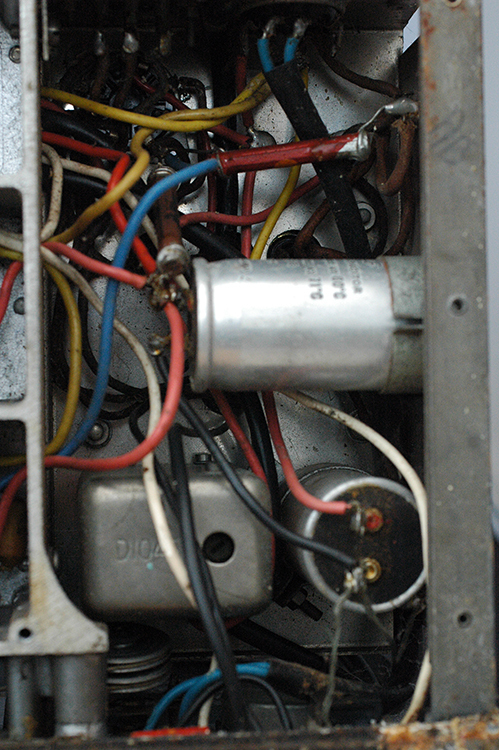 Most of the old condensers will need replacing and probably several resistors.